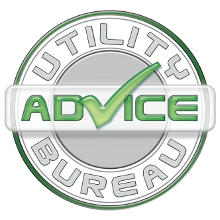 Welcome to the Utility Advice Bureau! The advice given by the UAB energy consultants is always current and up to date in an ever changing industry. Our clients have access to this advice for the duration of the agreements that we secure. With over 40 years of collective knowledge and experience the UAB has secured and managed over half a billion commercial Gas and Electricity units for our clients since 2006. Water has now been de-regulated for ALL commercial premises in Scotland. Depending on the usage we can even negotiate a change of water supplier in England. Every single client of the UAB is protected by our own self regulated redress scheme. Does your consultant/broker have a redress scheme? Our clients benefit from dedicated personal energy consultants who will manage each account for the duration of any agreement secured through the UAB. Have you ever reached that point of despair, don�t know how to resolve a dispute or reach a compromise with your energy supplier? The UAB has created bespoke software that will manage, protect and provide our clients information of every aspect of their energy agreements instantly. Online access is available for those clients interested in having access to their accounts 24/7. At UAB our clients have direct access to pricing from every major supplier (the big 6) and specialised Independent Gas and Electricity agreements available! NOT every Broker/Consultant can deal direct.